Welcome to the Dexter Mods .co.nz website. The dextermods.co.nz website is for use with my auctions on Trademe to provide further information on the items I sell through Trademe listings. Visitors cannot buy items from the dextermods.co.nz website. All items that are listed on this website can only be purchased through Trademe by registered Trademe members. There is no way of contacting me via the dextermods.co.nz website, or buying direct through the dextermods.co.nz website. Trademe membership is free but comes with strict Terms and Conditions which buyers and sellers must follow. There is a lot of talk around about how good effects pedals can be with a few mods or tweaks to the circuit. Hunting down the schematics and diagrams and finding the right parts for the job is actually the easy part. The tricky bit is finding out what changes to the circuits to make in order to get the best out of the pedal. You can get pointers for this from the guitar and effects forums on the Internet and piece by piece develop mods to bring out the best in any guitar pedal. Dexter has done all that and spent the time buying up old pedals and doing mods until he’s satisfied with his work. Friends have asked me to mod their pedals and love the results. Now you can benefit from the time, expense, research and work I’ve put in and get your pedals modded as well. This is essentially a hobby for me, something to do in my spare time. When I’m not working from home I run Northern Digital Photofinish Ltd, a company that carry’s out the photofinish audit of betting races north of Taupo, New Zealand. I’ve been doing the photofinish gig since 1981 and it’s a job that came about due to being a hobby photographer. I got involved in music in 1976 when I made friends with a guy who played the drums. He taught me the rudiments of counting the beat and before long I was playing drums in local bands. 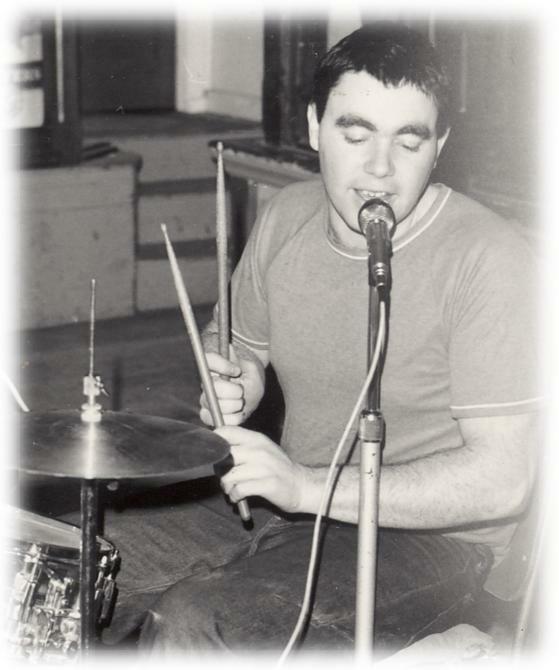 In the late seventies I played the drums in a couple of punk rock bands, namely Anti-music and Siren before the kids came along. I quit playing in bands, sold my drum kit and bought a cheap acoustic guitar and a Tascam four track, both of which I still have. I soon acquired my first electric guitar and an old amp and found it easy to smuggle in stompbox effects pedals and get them into my rig without the missus noticing them. Pretty soon I had a nice collection of what are now vintage and collectable pedals and spent the next few years making home recordings. Nowadays I still record and have developed an interest in getting more out of the effects pedals. I am currently working with the Terrorways to create custom mods. I am currently recording with other musicians where I am relegated to the drums again but they let me play guitar on my own songs if I’m really nice to them. I’ve got a few cover versions done recently for an entire album of covers to show off my pedal mods and here is a sneak preview of one of my favorite ABBA tracks. This was recorded in September 2009 and produced and arranged by Warren Cate. Warren also did the backing vocals, played bass and did the guitar in the right speaker channel. Dexter is on the main guitars and drums. The main tracks were recorded at The Lost Note Studio in Waikaretu on a Zoom MRS8-CD and a Korg D1600. Dexter’s guitars are a 62 reissue strat and an Epiphone Les Paul with Alnico 2 pickups. The effects on Dexter’s guitars are the Dexter Mods TS9 and a stock Hotcake through a Peavey Valve King amp mic’ed with a Shure SM57. Vocals were recorded using a Baby Blue Bottle.